Unique integration of commercial and variable print. When Westminster became part of the AE Graphics Group in 2007, we expanded our service offering to our clients to include a full compliment of pre-press, offset digital print and bindery. 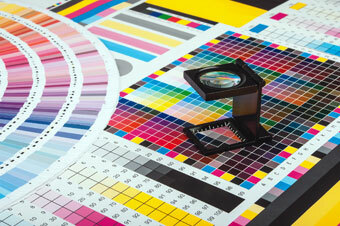 We treat our print clients with the same integrity we treat all our clients. We are printers but we also provide data excellence and lettershop services to many other printers seeking the best of the variable world. For clients in need of commercial print, our fine print division offers complete pre-press, web to print and bindery services with both G7 Master Printer qualification and Forest Stewardship Council ® (FSC®) certification. This integration of print services provides Westminster clients with a unique level of in-house expertise in both variable and offset print services. It is our attention to the finer points of this integrated service that make your brand look better.